IronHorse was created by Brooks Resources Corporation, one of the region’s oldest and most respected real estate companies with an established history of commitment to thoughtful, quality real estate development in Central Oregon. The goal to create a livable and sustainable community at IronHorse is rooted in an intimate understanding and respect for the true essence of Prineville and the Central Oregon lifestyle. 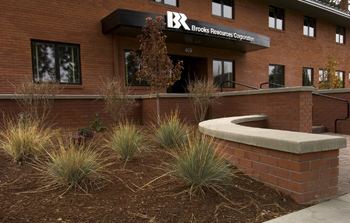 Recent accolades received by Brooks Resources include the 2011 Developer of the Year Award, the 2012 Lifetime Achievement Award, and the 2016 and 2017 Green Developer of the Year, all presented by the Central Oregon Builders Association (COBA). Brooks Resources was also honored in 2017 by the Oregon Recreation and Park Association (ORPA) with the Private Sector Partner Award. Philanthropic contributions and community event sponsorship are a large part of the Brooks Resources corporate philosophy. Past support includes the Crook County Foundation, The Bowman Museum, Crook County Fair, Middle and High School athletics, and the Crooked River Roundup. To learn more, please visit the Brooks Resources web site.